Iranian physician Ahmadreza Jalali, who was arrested in Iran ten months ago, has been reportedly sentenced to death. Although charges have not yet been announced publicly by Iranian Judiciary, Jalili’s wife maintains that they are political and include the charge of “collaborations with enemy stats”. Jalali resides in Sweden with his family and news of his sentencing was confirmed by his wife Vida Mehrannia. He is an expert and researcher in the field of medical disaster management and has published extensively on the topic. Mehrannia has told Zamaneh that following a transfer from ward 7 to ward 209 of Evin Prison on January 31, Jalali had a meeting with Judge Salavati who confirmed that a death sentence has been issued in his case. She added that the Judge has asked him to end his hunger strike which Jalali has declined. Meanwhile Caroline Pauwels director of University of Brussels, which has collaborated in the past with Ahmadreza Jalali, has told the media that Jalali has been sentenced to death and that the sentence may be executed within two weeks. The news was reported on the Persian Radio France which has also quoted his peers saying that his arrest may be linked to his communications with the international academic community including Israeli scientists. 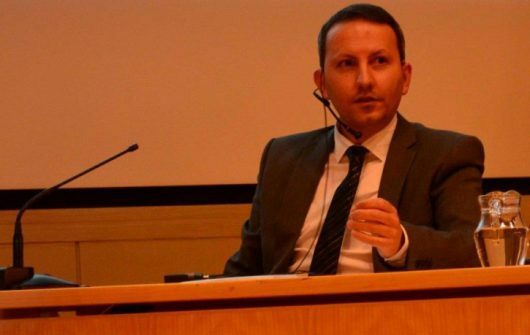 Since December 26, Ahmadreza Jalali has been on a hunger strike in protest to his imprisonment conditions, the pressures in prison and his lack of proper and timely access to an attorney. His spouse reports that up until last Tuesday the jailed physician had already lost twenty kilos in weight. She indicates that they the family have had no news of Jalali since the announcement of his sentence and expressed grave concern regarding his mental and physical wellbeing. The charges against Jalali are not clear yet, but his spouse maintains that he has reportedly been charged with “collaboration with enemy countries”. She added that the interrogators in Evin prison have also told Jalali that because he has allegedly refused to fully cooperate with the investigation, they will slap him with an additional charge of “enmity against God” – this charge carries a death sentence with it. Mehrannia has emphasized that her husband has completely denied the charge of collaboration with enemy countries. Jalali’s access to counsel has been precarious. His attorney has been allowed to sit in some interrogation sessions but he has been denied access to his full case file. Jalali has also been told by Judge Salavati that his choice of attorney is not acceptable by the court. Mehrannia has confirmed that the Government of Sweden, Italy and Belgium as well as EU officials have been making an effort to secure the release of Jalali. She expressed hope that in his coming trip to Iran, the Norwegian Prime Minister, Stefan Löfven could press for concrete action regarding the case of her husband.